Here’s another brilliant space saving option for your home – Fusillo Bookshelf, designed by London-based firm AndViceVersa and handcrafted in Italy. AndViceVersa design studio focuses on creating products that relate to space, movement graphics and communication. 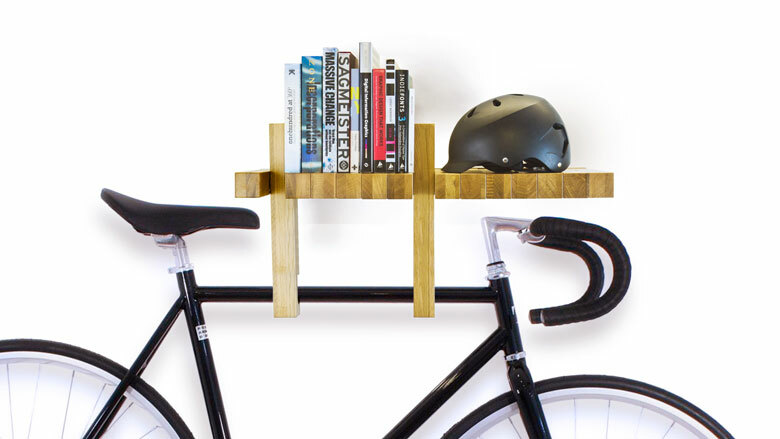 This multi-practical and multi-functional shelf is made of modular elements and can also be used as a bike rack, a coat hook, and a bookshelf. 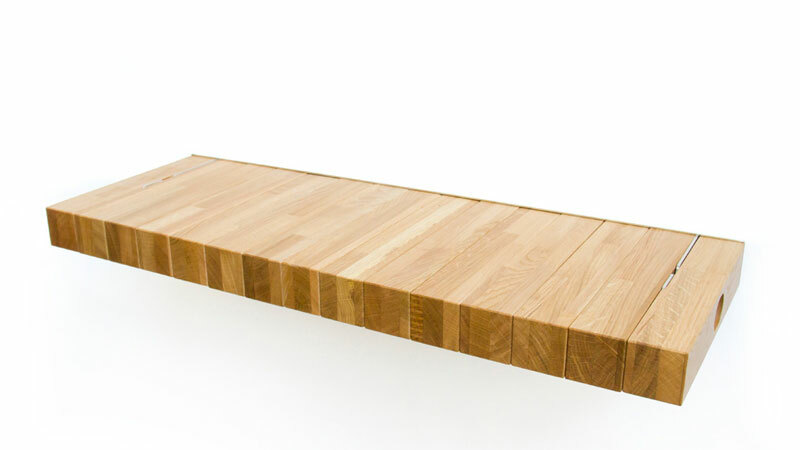 This is anything but a static shelf. At first, the Fusillo Bookshelf appears to be made in one piece, but if you look closely, you will see fifteen elements which are designed to rotate around a central axis and provide support for the book, while the bottom part of the elements has an opening that serves as a hanging device once the modules are in vertical position. 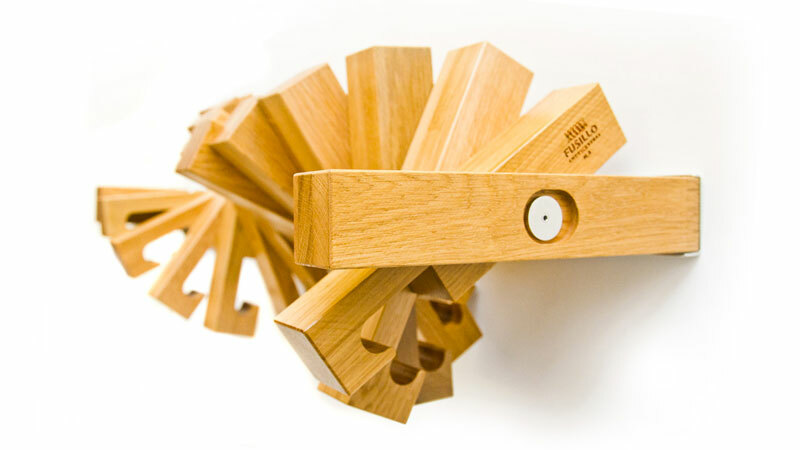 Once each element is in line, Fusillo forms a charming-looking shelf. 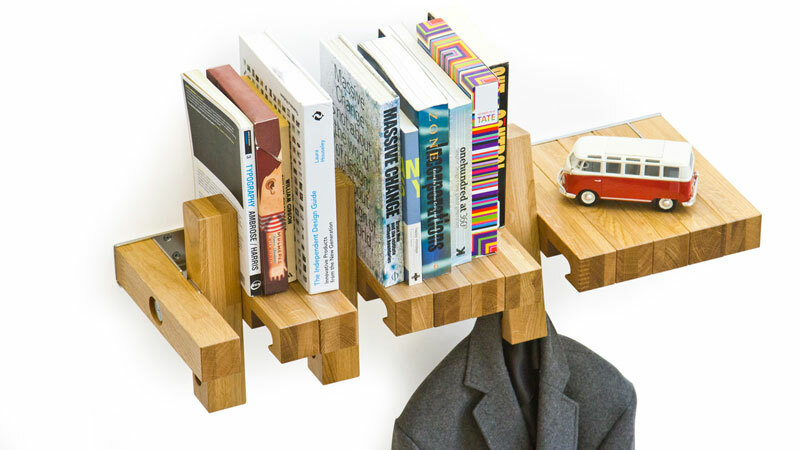 In translation, you can customize this shelf to your liking since the possibilities are endless. Additionally, each element of the Fusillo Bookshelf has a notch which can hold clothes, hats and, believe or not, even a bicycle. 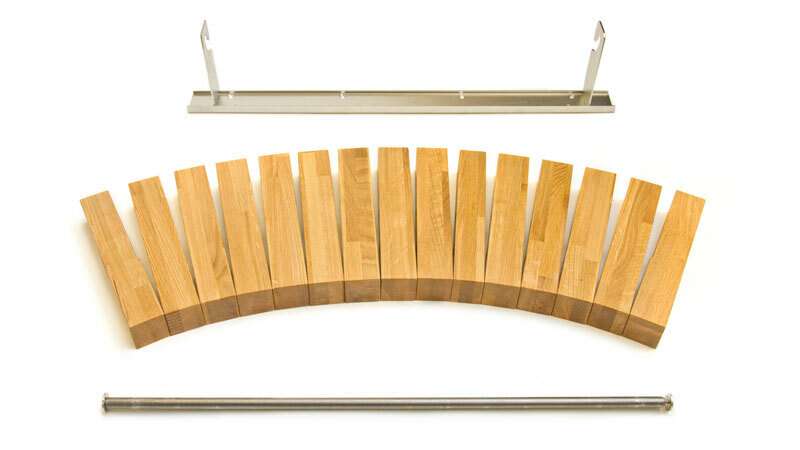 The shelf is made of oak and polished stainless steel. Fusillo can be ordered in two different lengths – 80 cm (with two anchored supports) and 120 cm (with three anchored supports).